The search is over. These are the best beef Enchiladas I have ever tasted. I’d even venture to say this is my husband’s favorite dish that I make. They are melt in your mouth, cheesy, full of flavor, worth every delicious bite, shear perfection. Begin with 4lbs of pot roast style beef, excess fat trimmed off. Coat all sides of the meat generously with cracked salt and pepper. Heat a couple tablespoons of EVOO in a large skillet over medium high heat. 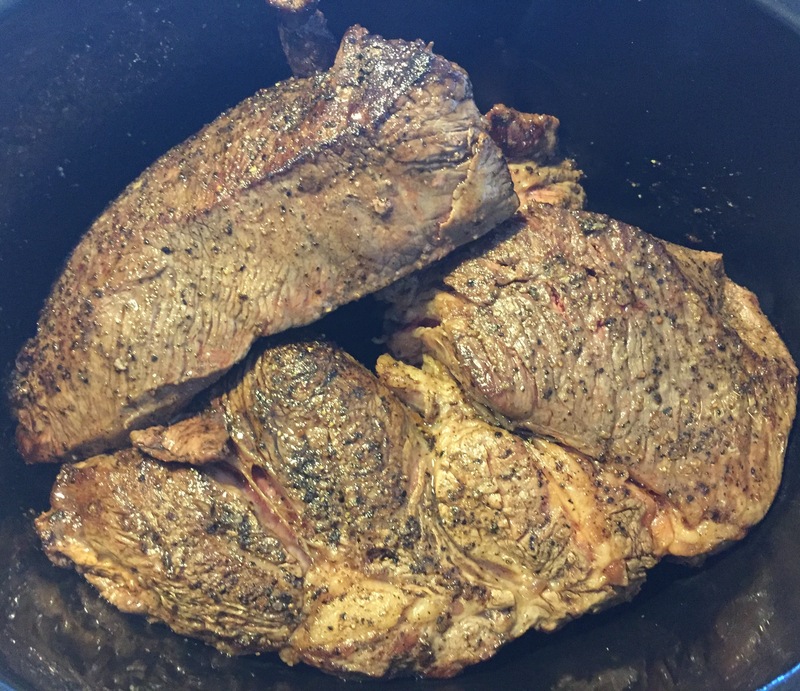 Sear it quickly on all sides until it has a beautiful brownish black color. Now put it in your crockpot. 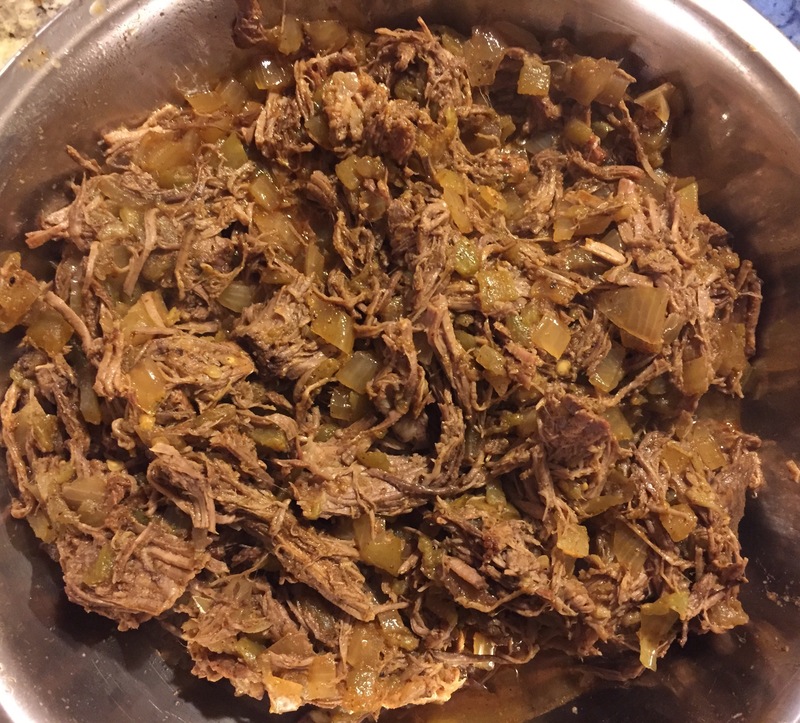 Cover with 1 large chopped onion, 20oz diced green chiles, 2tbl chili powder, 2tbl cumin, 2tbl garlic powder, 5oz Franks Hot Sauce, and 1/4c of water. Cook on low for 8-9 hours or until beef shreds easily with 4 forks. For the enchilada sauce (which is different from my normal variety) – Heat a tablespoon of EVOO in a medium saucepan and sauté 1/2c minced onions until soft. 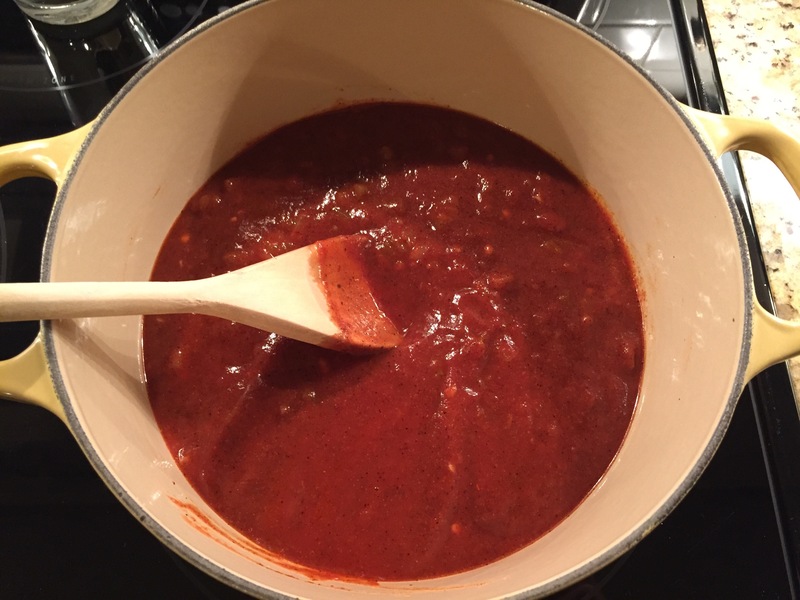 Stir in 24oz tomato sauce, 8oz diced green chiles, 2tbl chili powder, 1tbl cumin, and a few dashes of hot sauce. 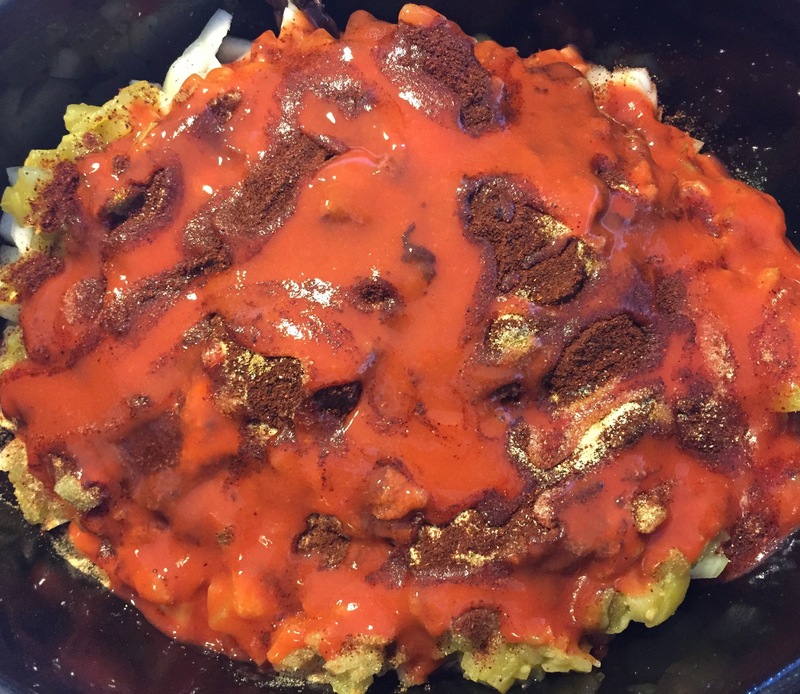 Cover the bottom of a baking dish with your enchilada sauce. Prepare fresh flour tortillas and spoon in your meat (which now looks like this). Top meat with Pepper Jack or Monterey Jack cheese. Roll up and place in baking dish. 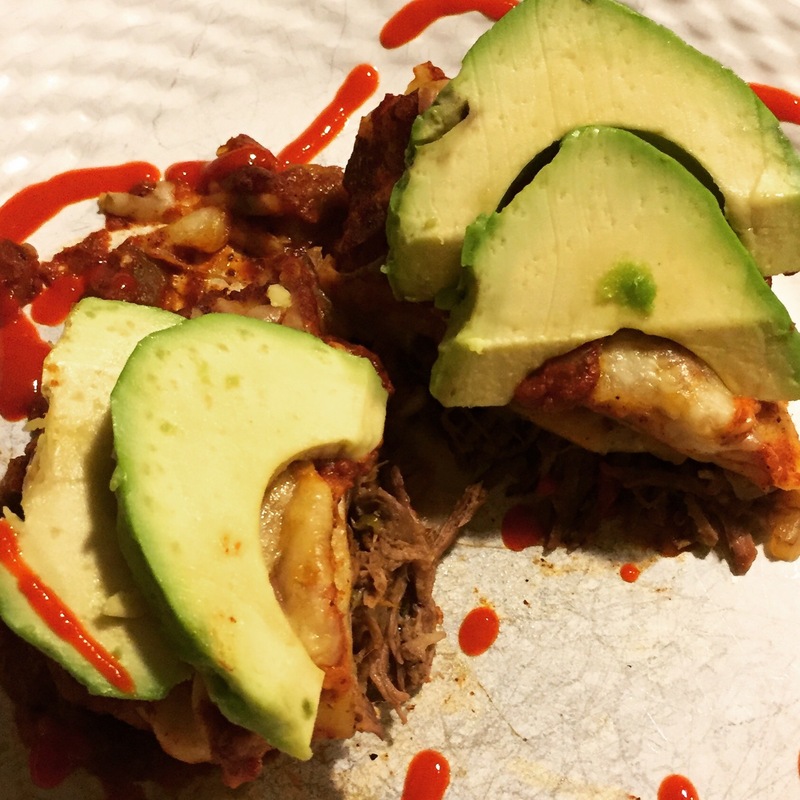 When you have finished rolling up all the meat, cover completely with the remaining enchilada sauce and top with more cheese. Bake uncovered at 350 degrees for 30 minutes or until cheese is melty and bubbly. 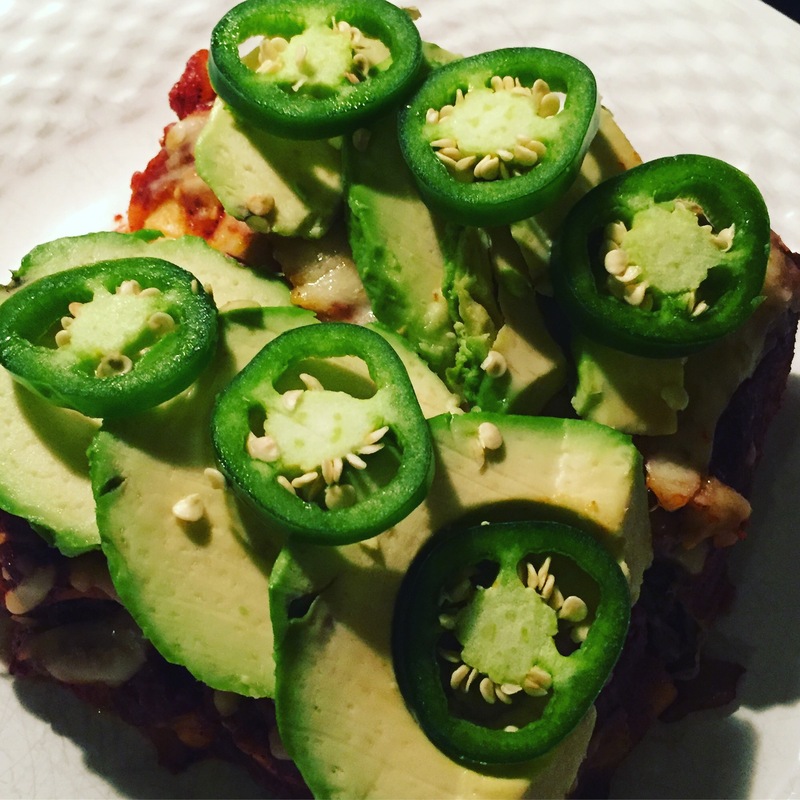 Top with avocado, jalapeño, hot sauce, etc. Enjoy! !